I dont know about you guys but I am always interested as to how certain websites are built and what Themes/Plugins they use. So, I figured it might be of interest to some people out there to see what makes us tick! Yeah it might sound obvious but you may be surprised how many times I am asked the difference between the two and which one we use. The answer is wordpress.org and its the best and most popular publishing platform on the web. I'm a broken record at this stage but the right hosting company is a critical choice in building a successful website. 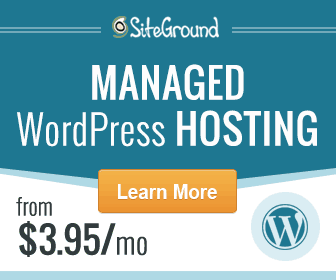 I love working with Siteground and they keep wplessons in full flow all the time! 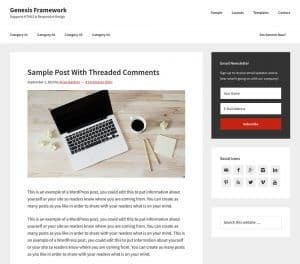 Our theme originally started as the magazine Pro child theme built using the ever dependable Genesis framework by Studiopress. They have an amazing lightweight range of themes available and I purchased the lifetime license years ago and I havent looked back since. One of the default plugins that comes with WordPress. Askimet does a great job of keeping spam at bay. Regular readers will know the importance of compressing images and ShortPixel is an excellent option. Anything that helps a web page load faster is a welcome addition! Quite simply, the Beaver Builder plugin is the best option out there for anyone looking to create beautiful, creative layouts and especially good for people who don't have a techie background. It's light, does not inject a load of bloated code into pages and has an excellent support team. It turns creating pages from hours to minutes and is highly recommended. WPForms is an excellent drag and drop form builder. Easy to configure and set up, it has several options and is a really useful tool that helps visitors engage with your site. There are many other plugins out there to create form but for me, WPForms is one of the very best. Easy Affiliate Links helps you manage all the affiliate links on your website. It gets rid of the long excessive affiliate links and makes them a little easier on the eye. When creating a website with multiple pages it just makes things so much easier and speeds up the typing process! One for the CSS nerds! The FE CSS builder is a super plugin developed by the guys at Cobalt Apps. It lets you play around with CSS code on the front end. When you find the code that suits your needs, simply copy and paste into the child theme or use a custom CSS type plugin. Again, it's a speedy tool that even seasoned CSS pros will love. Yoast is easily the best SEO plugin available. It's is just so easy to configure and a plugin that no site should be without. There are a multitude of social media plugins on the WordPress repository. Many are excellent and Sassy Social Share is our selection of choice. It is after every blog post and page to help us interact with visitors. MalCare Pro is a powerful malware scanner that keeps us safe in the background. MalCare analyses every IP request to keep malicious traffic and hackers away from your website. It also preemptively blocks IPs with malicious intent from even sending requests to your site. It also has a one click function that clears your site of malicious code. If you are ever in doubt, contact the authors of the Theme you are using and ask them if Plugin X, Y or Z is compatible.